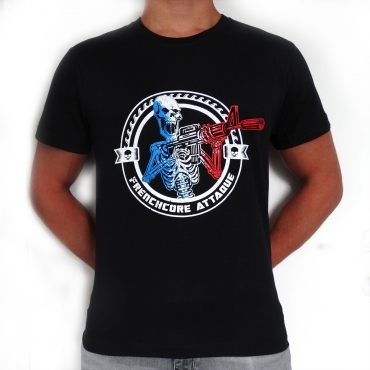 Frenchcore Attack Shortsleeve shirt, made of very soft fabric. With a big 3 color print on the front and a small print on the back. Produced for Rige.